“Wherefore also He is able to save to the uttermost them that draw near unto God through Him, seeing He ever liveth to make intercession for them” (Hebrews 7:25; RV). Howsoever viewed, this is a great and heartening statement. The ability of our Lord Jesus Christ to save at all times and in all circumstances is the sheet anchor of the faith of God’s people. A Saviour Who never fails, who can never be confronted with a situation too difficult for Him, is a fundamental necessity to all who are seeking to live to the glory of God in an end time; and who are, therefore, continually meeting the fierce and unceasing antagonism of the forces of darkness. Here the glorious declaration of His power to save to the uttermost is made for our comfort, and for the strengthening of faith. This is a favorite text for evangelistic sermons. It is indeed “good news” for the sinner. No one, however sunken in sin, is beyond the reach of His saving power. He is able to save all who come, and to save them to the uttermost. Let the message go out to the furthest bounds of human sin and need, and be sounded in the ears of the most hardened and degraded of the sons of men. No case is too hard for Him. Hallelujah! “…To the uttermost.” This is a translation of a very rich original word. Like many of the words God employs in Holy Scripture, it is a word with a big content. Someone has truly said that the words the Holy Spirit uses are great words in that they have God behind them. They are often much bigger than we realize. This word combines two separate ideas: first that of quality, then that of reach. It speaks of His ability to save completely in the present, and also to go on saving, thus forever; fullness of resource for present need, however dire, and also for every future need to the end of our earthly history. It may be expressed thus: Whatever the depth and complexity of present need, in whatsoever realm that need may be, whether in spirit, soul, or body; in Him, as exalted at God’s right hand, there is complete ability to meet it: and further, by no possibility can there arise a situation to the farthest reach of time where that ability will be diminished, or His saving power be other than an abiding reality. This is true in every realm of human need. Whether the problem be related to sin, self, the world, the Devil, or to death and him who wields it as a potent weapon, the power of an uttermost salvation resides in our Priestly Intercessor on the Father’s throne. Fearful heart, take comfort: He ever liveth! He is there in the full value of His Calvary triumph. Nothing has been lost in the process of the years. All that He won as the mighty victor in the hour of His weakness and seeming defeat, He holds on our behalf. It is all available to faith. “And now He lives, Proclaim the joyful story, the Lord’s on high; And we in Him are raised to endless glory And ne’er shall die.” Death has no dominion over Him, nor can we be brought under the power of it while we keep Him in full view. He lives, and has said, “Because I live, ye shall live also.” Living, He is abundantly able to save. The comfort, consolation, and strength-giving power of this declaration, are immensely reinforced as we view it in its context, and see it as the culmination of a great argument. We miss a great deal of the value of the Word of God by our habit of reading short portions or single chapters. It is always worthwhile to take time to see the scope and range of the particular book we are reading, to note its divisions, apprehend its arguments, and see where the climaxes come. The ‘wherefores’ and ‘therefores’ of the Word are most helpful in this connection. They always cast us back on that which has preceded the passage in question and indicate the foundation of the statement made. So this great declaration of the unceasing ability of the Lord to minister an uttermost salvation commences with “Wherefore…” That is linked in the first place with Verse 24: “But He, because He abideth for ever, hath His priesthood unchangeable” (Hebrews 7:24). This, in turn, is the culmination of the whole argument concerning our Lord’s priestly ministry in contrast with the Aaronic priesthood of the old economy. It will help if we seek to see something of the scope and range of the Epistle to the Hebrews. It was written to Hebrew believers; men who had been reared in the old Mosaic order of things, with its outward and visible worship, its sacrifices and priesthood, laws and ordinances. All this was passing away before their eyes and they had not yet become fully alive to the inward and essentially spiritual character of that into which they had entered as they passed out of Judaism into the Christian Church. Hence, the Holy Spirit was seeking to demonstrate to them the immense superiority of Christ, in every aspect of His person and work, as contrasted with the old order of things and the leaders they held in reverence. The key word of the Epistle is “better.” There is a better hope, a better testament, better promises, better sacrifices, a better resurrection, a better country, etc. 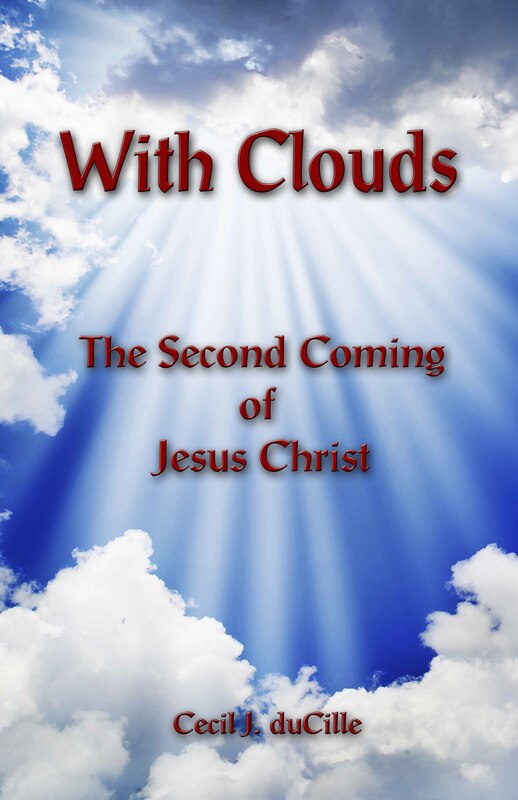 Firstly, then, the Lord Jesus is declared to be God’s final message to men (Chapter 1:1-2) and as such is superior to the angels and messengers through whom the Old Covenant was given (Chapters 1 and 2). Then He is placed in contrast with Moses, the revered leader of the people from Egypt to Canaan, and the one through whom the Law was given. Christ is shown to be superior to Moses, inasmuch as, in God’s house, the Son is superior to one who, however great, was after all but a servant (Chapter 3:1-6). Joshua takes up the position of national leader on the death of Moses and conducts the people into the Promised Land; but though he gives them a large measure of possession, he was not able to give them rest therein. Our Lord is shown to be superior to Joshua in that He is able to lead His people into the “rest that remaineth to the people of God” (Chapter 4:8-40). Then comes the long section dealing with the great matter of priesthood, commencing with Chapter 4, Verse 14, and going through to Chapter 10. Christ as High Priest after the order of Melchizedek is set forth in contrast to the Aaronic priesthood; and the superiority of His office and ministry is found to consist in the fact that, whereas the priests of old were men whose lives were short and their ministry constantly interrupted by death, He lives by the power of an endless life and hath an unchangeable and age abiding ministry. The great declaration in relation to His priesthood is a twofold one (Chapter 5:5-6). “The Lord sware and will not repent Himself, Thou art a Priest for ever…” (Hebrews 7:21). Priesthood is an office, but one based upon moral suitability, upon sonship. The priests of the old Aaronic order were able to deal gently with the ignorant and the erring, because they themselves were compassed with infirmity, and therefore were compelled to offer sacrifice, not only for the sins of the people, but also for their own. They had the power of sympathy strongly developed because of their personal experience. Our glorious High Priest was sinless and needed not to offer sacrifice on His own behalf. Nevertheless, His power of sympathetic understanding is in no wise inferior to that of Aaron and his successors. Though He was a Son, He entered into the school of suffering and therein “learned obedience.” He came to His perfection as Man, and therefore to His suitability for the high-priestly office, along the road of discipline. It was not that there was ever in Him a disposition towards disobedience. But it is one thing to be disposed to obedience and another to learn what obedience really means in the discipline of life. His delight in the will of God, declared when He came into the world, must be proved by treading the thorny road of life in dependence and active obedience. As another has well said, “The progress from the disposition to the deed of obedience is a practical learning of the virtue of obedience.” So, having come to His perfection along this difficult and painful road, He not only “became the Author of eternal salvation to all them that obey Him,” but is able fully to sympathize with those obedient souls in all the trials and conflicts they endure, as they also tread the hard road leading to their perfection. The fullness of His experience, gathered in the school of suffering, and the certainty of His moral suitability to be the unchanging High Priest of His people, is seen in the fact that God, in making the double declaration, “Thou art My Son… Thou art a Priest for ever,” confirmed His appointment to the priestly office with an oath. The purpose for which God employed this surprising method is clearly stated in Chapter 6 with reference to Abraham: “For men sware by the greater: and in every dispute of theirs the oath is final for confirmation. Wherein God, being minded to shew more abundantly…the immutability of His counsel, interposed with an oath; that by two immutable things, in which it was impossible for God to lie, we may have a strong encouragement, who have fled for refuge to lay hold of the hope set before us” (Hebrews 6:16- 18; RV). The oath of God was taken for the strong encouragement of the heirs of promise. Having reached this great climax in Chapter 7:24-25, and making the declaration that, because Christ abideth ever and hath an unchangeable priesthood, He is able to save to the uttermost, the writer sums the matter up thus: —”Now in the things which we are saying, the chief point is this: We have such a High Priest, Who sat down on the right hand of the throne of the Majesty in the heavens, a Minister of the sanctuary, and of the true tabernacle, which the Lord pitched, not man” (Hebrews 8:1-2; RV). Two points are to be noted. (1) He sat down. (2) He is a Minister of the sanctuary. Priests of the Aaronic order never sat down in the sanctuary: their work was never completed; the same sacrifices had to be offered year by year continually. But our High Priest offered one sacrifice for sins forever. Having made propitiation for sins, He has passed through the heavens and is seated on the Father’s throne. He is King as well as Priest. He is in the place of supreme and universal power. At the right hand of the throne of the Majesty in the heavens, all authority is committed into His hands. The work of redemption is finished. The claims of Divine righteousness are fully satisfied. His victory over the rebel forces is full and final. In Him everything in the purpose and program of God has been secured. But all that has to be made good in the experience of the “people for His Name” who are being gathered out from the nations of the world (Acts 15:14), and who, in the wonderfully gracious purpose of God are to share His throne in the coming kingdom. He is their representative, their forerunner, but they have not arrived where He is. Hence we have the paradoxical statement that, though He has sat down, He is none the less a Minister of the sanctuary. He is in full activity as the High Priest of His people, perpetually ministering on their behalf before God, in order that they may be maintained in their heavenly life, and may overcome all resistance even as He overcame. It is His ceaseless and untiring ministry in “the true tabernacle, which the Lord pitched, and not man,” that is the ground of His people’s sure confidence and triumphant boldness. “He ever liveth to make intercession.” His ministry is a twofold one. On the one hand He maintains us before God by the virtue of all that He is in Himself, and by the value of His atoning sacrifice in all its range and power; and, on the other hand, He mediates to us of His fullness continually, so that as we ‘draw near with boldness to the throne of grace, we find grace to help in every time of need.’ Thus we are able constantly to experience His ability to save to the uttermost. There is no reason why we should be fearful in any circumstance, or despair in any situation of acute and desperate need. If we are conscious of uttermost need, He is presented to faith as an uttermost Saviour, on the basis of God’s immutable oath. He is Redeemer, Saviour, High Priest, and Sovereign Lord. We have such a High Priest. Let us evermore rejoice in what He is in Himself, where He is in His Sovereign Lordship, and what He is doing in that tireless ministry on our behalf in the very presence of God. “The Lord swear and will not repent, Thou art a Priest forever…” He is able to save to the uttermost. Hallelujah!